Beijing Jiaotong University Library was established in 1909. With the changes of history, Beijing Jiaotong University Library has had three sites. The first one was in Li Gelao Hutong, called Reading Room with a small quantity of books. Afterwards, a two-story building was set up on the east of the campus gate, renamed Library with an increasing number of books. During the period of Anti-Japanese War, a large amount of the library books were lost with the university moving south. After the victory of the Anti-Japanese War, the library was renewed as the university moved back to Peking. And the amount of the library collection rose up thanks to the books giving by the Railway Bureau of Peking and Tianjin, the Transportation School of North China Transportation Company and the private railway university managed by Guan Genglin after the liberation of the People’s Republic of China. In the year of 1951, Beijing Jiaotong University moved to the present site and the second library was established with an area of 2353 m2. Then in 1953, due to the combination of the Beijing Railway Institute and the Harbin Railway Institute, the area of the library increased to 4135 m2 and the collection 310,000 volumes. At present, Beijing Jiaotong University has two libraries with the total area of 13,515 m2, the main library on the west campus and the branch library, the former library of Electricity College of Higher Learning, on the east campus. Beijing Jiaotong University Library now has about 2100 reading seats, two large self-study rooms, and two electronic reading rooms with 290 computers. Beijing Jiaotong University library collection features railway transportation, the university’s main discipline, and also covers other disciplines such as engineering, management, economics, science, humanities and social sciences, law, philosophy. And the library collection amounts to 8,491,000 volumes including 1,986,500 paper books and journals, more than 2,613,400 electronic books, and other electronic resources of more than3,891,100 volumes. Furthermore, the library offers 199 over Chinese and foreign language databases such as CNKI, Wanfang, SCI and EI, more than 31,000 kinds of Chinese and foreign language fulltext electronic journals, more than 3,097,200 Chinese and foreign language theses and dissertations, and more than 77,000 volumes of Chinese and foreign language proceedings and standards. The library, with its unique feature, has collected precious railway transportation literature, for example, the first statistics table for road administration by the Postal Department in the late Qing Dynasty, the first issue of the official transportation newspaper, the railway staff records of the Transportation Department from 1911, the railway construction summary, loan contract, railway accounting, railway regulations and the document on the transference of the Changchun railway signed and issued by Premiere Zhou En’lai in 1953. The library has collected all the theses and dissertations written by the Beijing Jiaotong University graduates, the excellent graduation papers by undergraduates since 2003, and all the graduation papers by the undergraduates since 2004. With the advancement of the digital library, Beijing Jiaotong University Library has constructed the railway transportation database of 80,000 data and more than 8000 full-text articles. 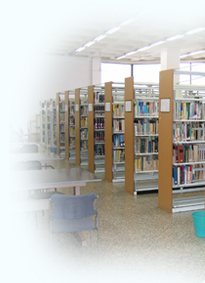 In 2004, the library changed its integrated management system into ALEPH500, the world-class level Israeli integrated management software, which, based on UNICODE, offers about 20 languages choices and the interactive services such as on-line reservation, renewal and urging of the book return. And in the same year, the library, being the first in China, employed MetaLib, the world-class library academic information portal system, and SFX, the OpenURL service system. Through MetaLib, the library has integrated its subscribed electronic books, electronic journals, electronic databases and lots of free electronic academic resources on public web, realized the one-stop retrieval of multi resources, and provided students and teachers with the dynamic subject navigation in view of disciplines, access, the types of resources and readers. Since 2003, Beijing Jiaotong University has established the inter-library loan relationship with almost 80libraries in China such as Tsinghua University Library, Peking University Library, Library of Renmin University of China and Beijing Normal University Library. Beijing Jiaotong University Library makes great efforts to construct an information platform characteristic of railway transportation and strives for innovation and progress based on its dependable service and unique features.